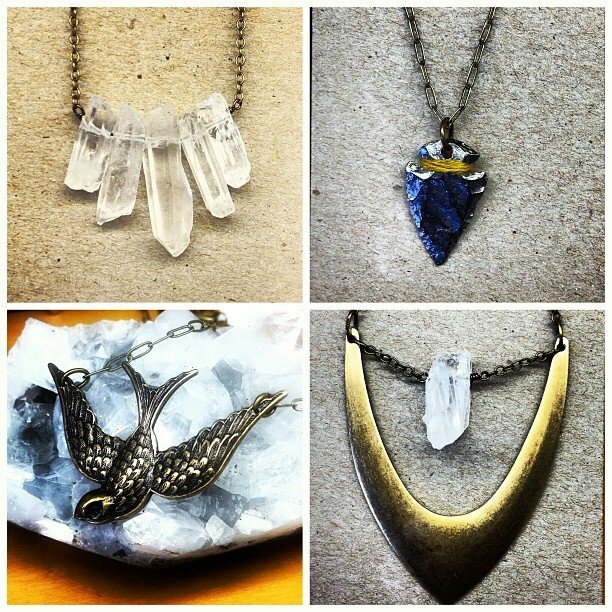 New jewelry just in! Quartz, brass, bronze, birds, arrowheads, compasses, harmonicas, bees, honeycomb, dragonflies, oh my! All made in Sonoma, California!